With the increased costs and patient morbidity due to bone graft ing , an increased patient resistance to implant treatment has been noted. In such patients with sub-optimal bone volume bone grafts can be avoided by placing angled implants and wider implants in available bone. With good primary stability these implants can also be loaded immediately with same day teeth. 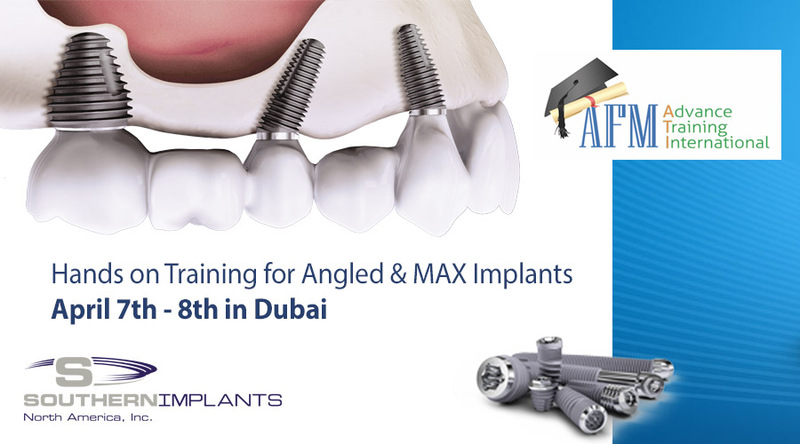 High treatment acceptance and patient satisfaction are the most important advantages of angled and wide implants. From the patients point of view, the increased costs, treatment t ime and pain associated with bone grafting procedures, lead to increased resistance to treatment acceptance . Such patients with sub-optimal bone volume can benefit with the use of angled implants placed into existing native bone, thereby avoiding bone grafting procedures. Further more wider diameter molar specific implants can be placed into immediate molar extraction sockets thereby also avoiding bone grafts. This concept is in line with the late Professor P.I. Branemark philosophy of “lesser surgery to treat more patients”. By using angled and wide implants and by avoiding bone grafting, the gain in time for the patient implies an economical benefit which is important especially for professionally and /or socially active patients. a) High implant primary stability. b) Appropriate implant number, length & diameter. c) Appropriate implant distribution across the dental arch. d) Adequate bone quality & quantity. a) Reduction in treatment t ime. d} Increased patient satisfaction .